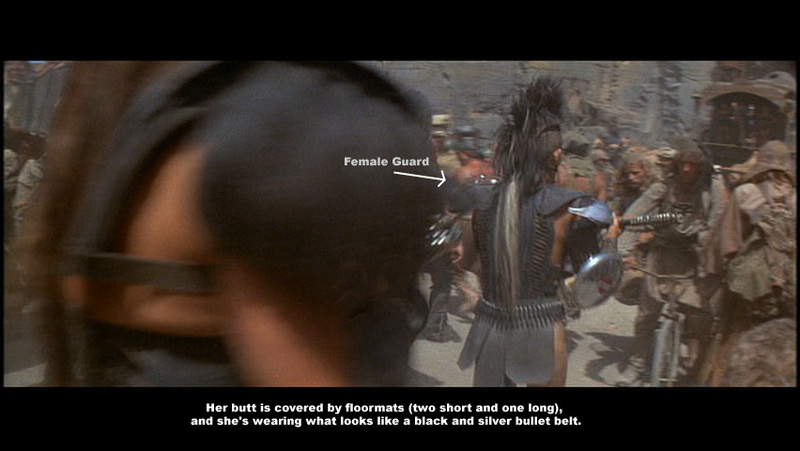 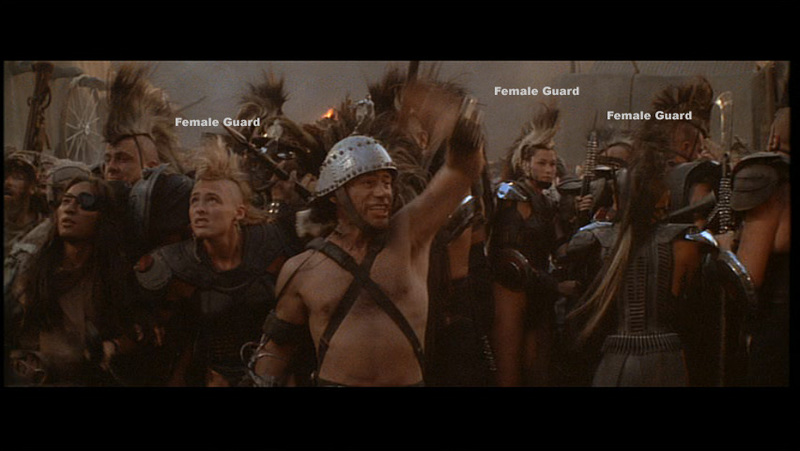 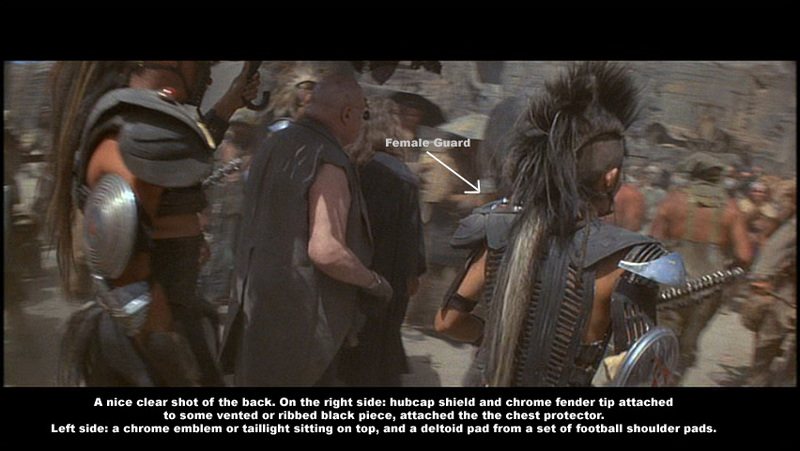 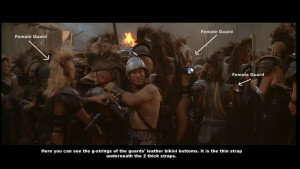 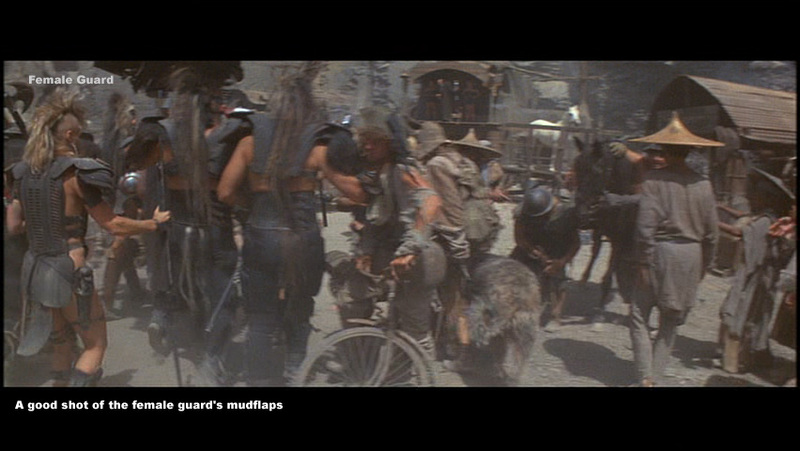 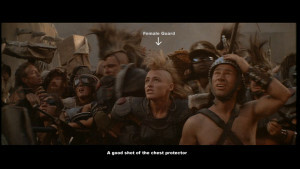 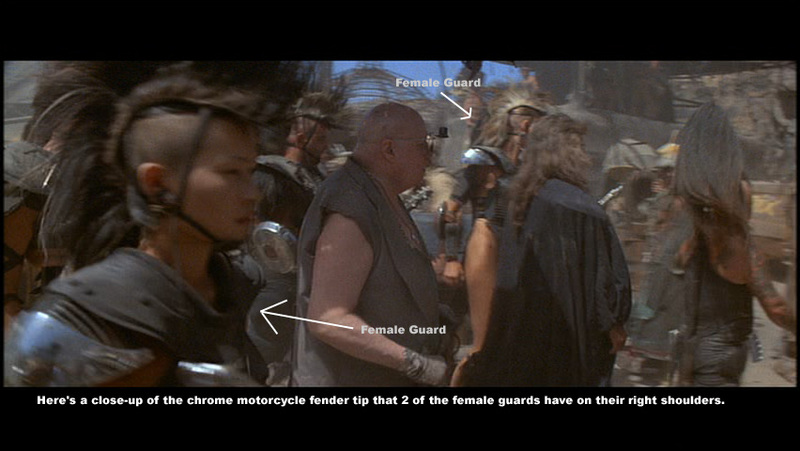 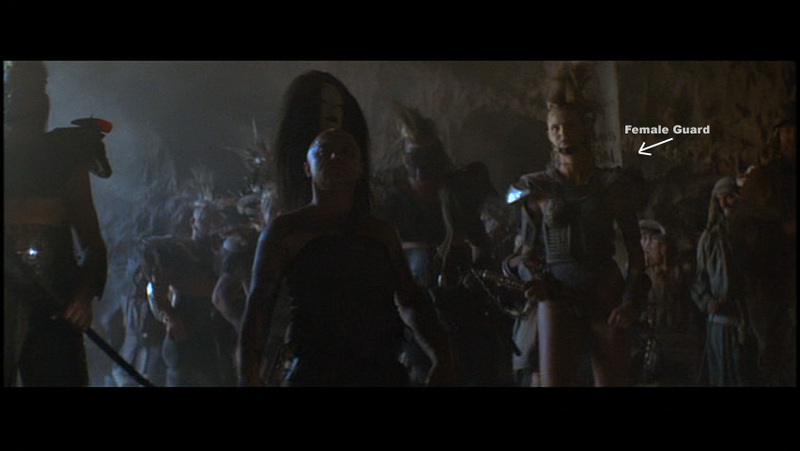 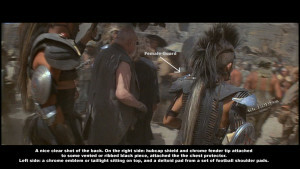 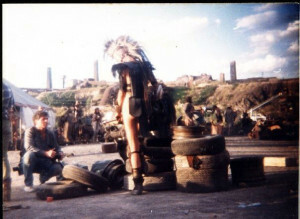 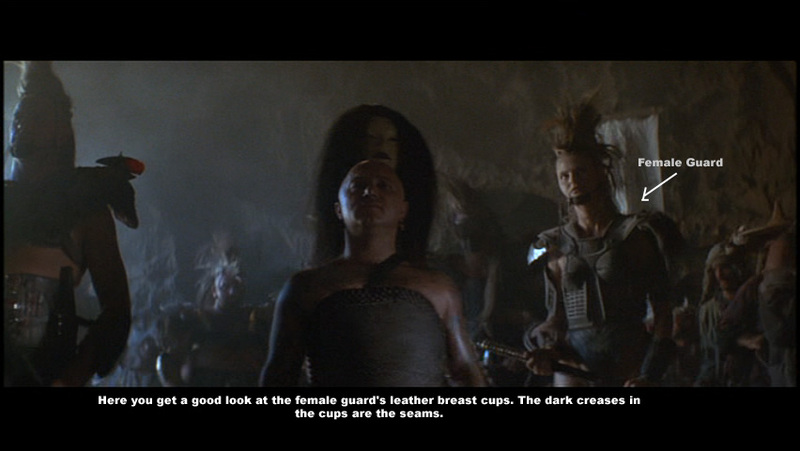 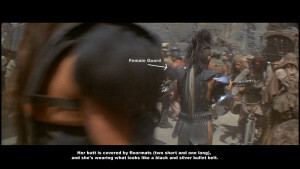 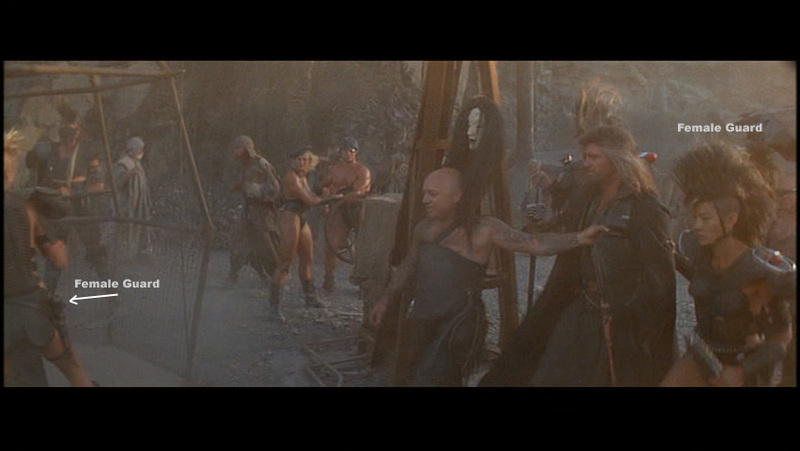 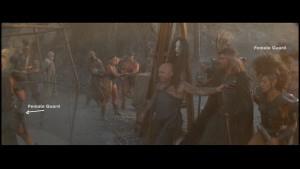 The female guards wear the same mohawks and shin guards. 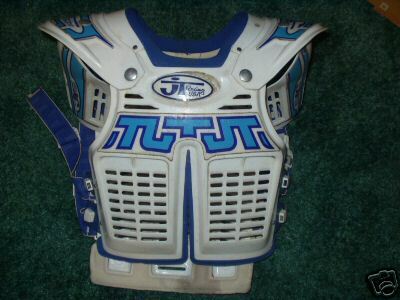 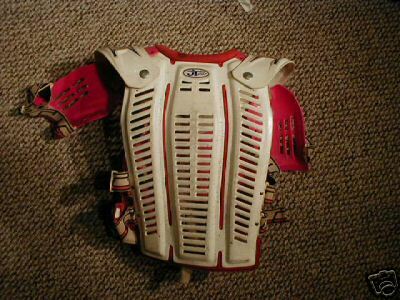 Instead of football pads, they wear JT motocross chest protectors, modified with leather breast cups, a chrome motorcycle fender tip on the right shoulder, a football pad deltoid cap attached to the left shoulder, and mudflaps/floormats over the buttocks. 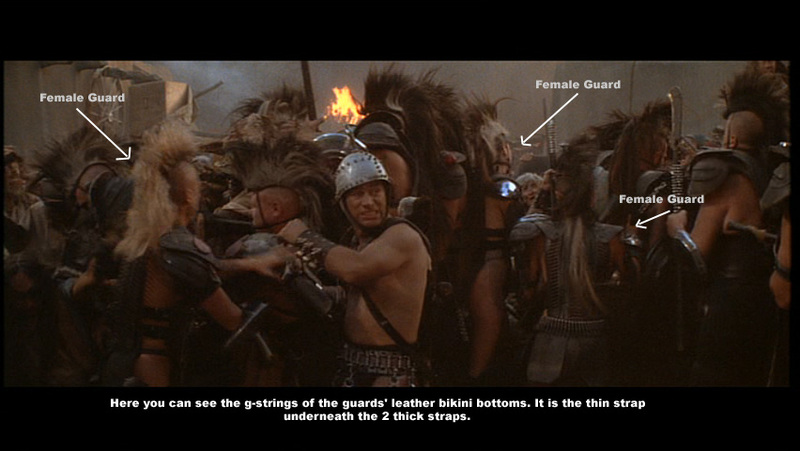 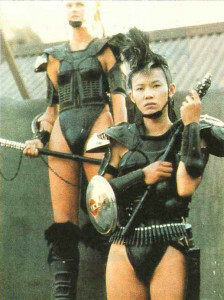 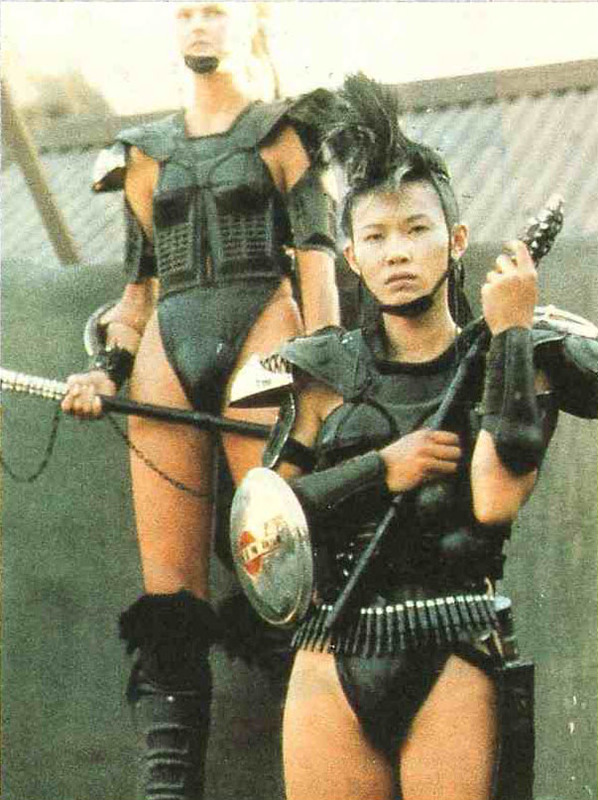 Instead of trousers, the female guards wear a black triangular bikini-type bottom, which covers up to the bottom of the front of the chest protector (about waist level).